Our goal is to exceed established performance standards while offering our customers innovative VoIP business phone service coupled with the highest personal service. Whether it is a small 2-5 phone user customer or an enterprise with 500+ phones, we have built a voice and data network suitable for all types of customers. BroadConnect aims to be the industry’s leading knowledgeable resource for emerging data, video and voice technologies. Integrate voice, data, communications solutions and business applications for seamless. Drive higher performance and reduce costs with a team of expert professionals. Create customized next-generation business solutions by integrating voice. Transform business with turnkey cloud communication and collaboration services. Streamline your communications with a private, secure, fully managed communications network. BCT’s high-quality voice and video calling integrate flawlessly with your existing calendars and email systems. And as your business grows, our networks will adapt seamlessly to fit your changing goals and requirements. BroadConnect provides the most extensive SIP coverage across Canada and the USA. Supported by our advanced facilities-based IP core and private data network, SIP Trunks from BroadConnect Canada give you the reliable, expandable and secure voice over IP for business services for all your communication needs. Empower your call center managers and customers like never before. 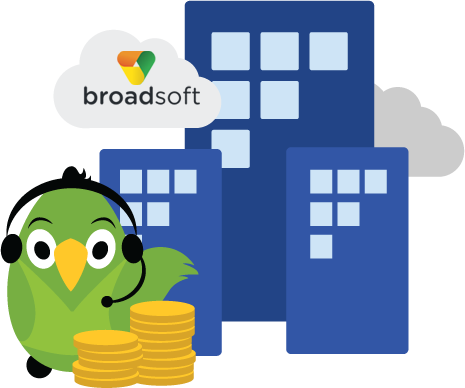 With advanced reporting features and integrated communication features like includes voice, email, web chat, fax, social media and SMS, BroadConnect’s hosted contact center solutions, powered by Broadsoft, delivers the most comprehensive with will effectively and increase customer satisfaction and loyalty. BroadConnect’s carrier grade data network delivers a fast and reliable internet service that meets your ever changing business needs. We offer high speed dedicated internet access bundled with the key features your business needs to connect with your employees, partners and customers. We deploy next-gen hardware and offer the most comprehensive service guarantee which is backed by our 24/7/365 support team. BCT business VoIP helps you serve your customers better with mobile, flexible solutions that help you do business anywhere, anytime. 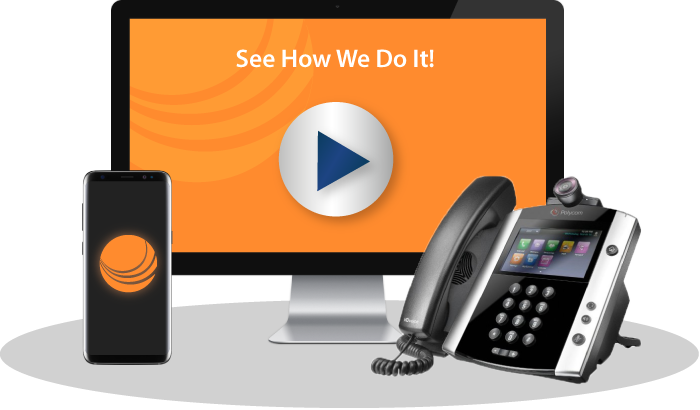 From hosted VoIP business phone service and cloud-based call center software to unified communications, our services are easy to use, incredibly advanced and less expensive than traditional solutions. Proven. Reliable. Secure. and Securely Than Ever Before. Connect with your customers on every level, with fast, flexible, secure communication solutions from BCT. 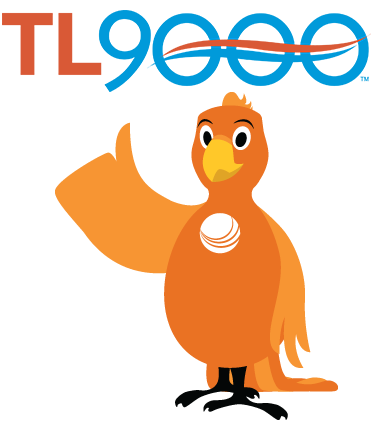 Unify your voice and video calling with hosted VoIP. Get faster speeds than you’ll find on any public ISP, with your own private business internet. Track and analyze every call with a cloud-based call center. 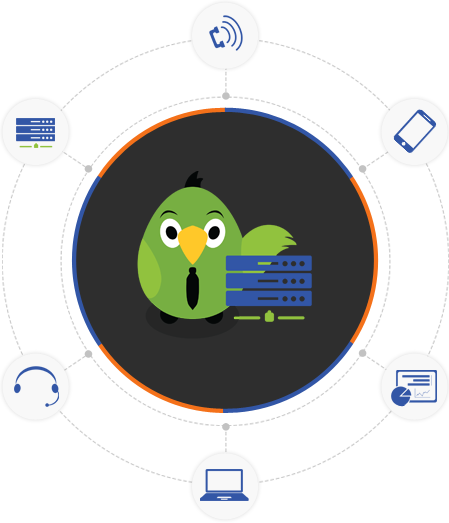 All our solutions integrate seamlessly with your existing software, saving time and maximizing the reach of your IT budget. Over the past 15 years, BCT has stood at the cutting edge of IP networking and cloud-based services. Trusted by top corporations throughout Canada, our cloud voice platform gives businesses the tools they need to communicate securely and effectively, all around the globe. BCT’s networking technologies are tailored around the way you work – empowering your teams to connect and collaborate, no matter where in the world they are. All The Tools You Need To Grow. Your business is always growing – and our networks are equipped to grow with you. Whether you’re a small business, an enterprise, or anything in between, we’ll scale around your needs. BCT’s Canada-wide networks keep all your communications fast and secure. We also connect seamlessly to locations throughout the US, with data connectivity all across the States, making it easy to connect with remote employees – and customers – anywhere in the world. BCT even offers local phone service in 20+ countries internationally. Stay in touch with Teams across Canada & around the World – any time, anywhere. BroadConnect Canada’s HQ (Vaughan) is TL9000 Certified. BCT believes that staying connected should be simple. That’s why we design every unique network around the needs of your business – making it easy for teams across Canada and around the globe to collaborate through voice and video calling, data transfers, cloud-based folders, and more. Every solution we provide is managed by a top-notch team of experts, including local engineers and 24/7 tech support staff. We’re here to help you keep pace in today’s fast-changing technological world. Every step of the way, we’ll work closely with your teams to ensure complete satisfaction, refining our infrastructure to meet your business’s needs with maximum efficiency and cost-effectiveness. From small business to enterprise clients, we’re focused on fitting our solutions to your needs – and as your business grows, our networks will grow with you, so you can focus on doing what you do best: providing world-class service to your customers. BCT specializes in adapting our solutions to businesses of every size and structure. Whatever your stage of growth – and wherever you’re heading – we’ll be there by your side. Over the past 15 years, BCT has built a solid reputation providing best-in-class communications for businesses in many industries – including finance, health care, retail, hospitality, education, government, and many others. Our experienced advisors will meet your business wherever it stands today – whether you’ve got remote offices around the world, large-scale sites across Canada, or any other networking challenge. We’ll work with you every step of the way, demonstrating why we’re Canada’s top choice for modern voice, video and data communications.